Promising Practices: 12 Case Studies in Supportive Housing for People with Mental Health and Addiction Issues is a resource guide developed by Addictions and Mental Health Ontario, CMHA Ontario and the Wellesley Institute. 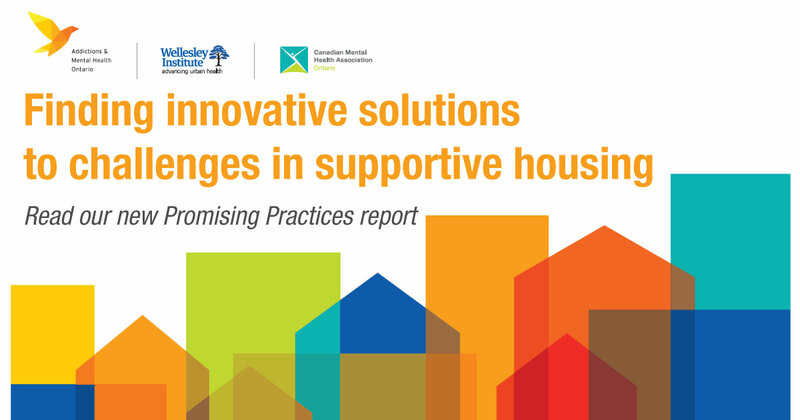 The guide shares the innovative ways that supportive housing providers across the province have overcome challenges and identifies three main areas for system reform. Each case study has a distinct approach, but all provide resources and advice for other service providers to replicate these approaches in their own communities. The guide also includes tools that can be adapted to each community’s unique needs. In addition to providing innovative ideas, the challenges and successes demonstrated through the case studies point to system level implications and opportunities for improvements across the sector including more affordable housing, further standardization in some areas, and enhanced system coordination.